This has been a nostalgic week for Gears of Eden. 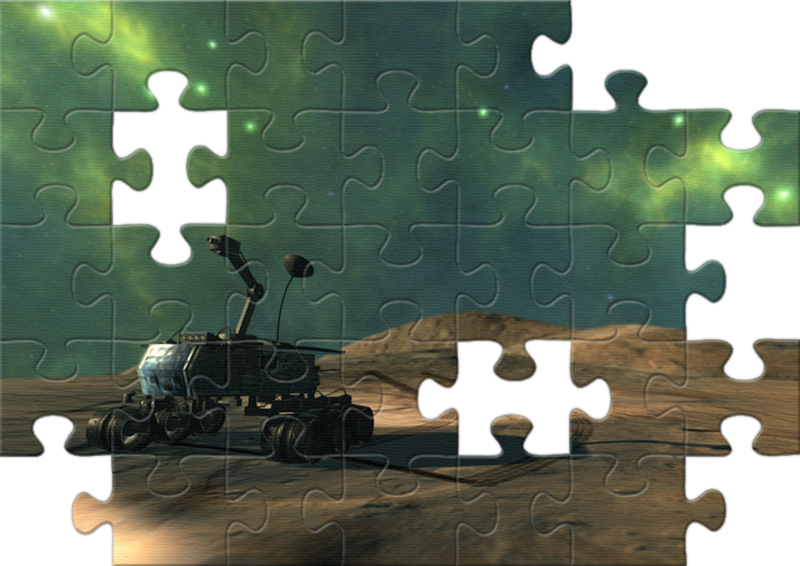 Early on, development looked like a jigsaw puzzle: we had a bunch of little accomplishments that all clicked together nicely. None of them seemed like much individually, but once we put together enough pieces, the larger picture would start to form! Now, our progress this week is greater than it was back then, but it still feels like just pieces of something… albeit much more significant. We’re not just making sure the wheels turn: we’re implementing entire systems! This has been a good week for Gears of Eden, so let’s talk about it! The first update we have is about our upcoming short stories! We’ve put together a production schedule for these stories. It’s a rough draft and probably a little too generous with the amount of time given to accomplish the individual stages, but time will tell. The most important thing though is schedule will help keep us on track and you’ll be able to count on regular releases! The goal is to have one story release every month, but we don’t want to promise anything for sure until we’ve gone through the process at least once. The next update is very small, but absolutely needed even at this stage: volume sliders. We’re still a long way off from sound design for Gears of Eden, but we’ve had a piece of music made. We like it! It sounds really nice! But it’s way too loud right now. We’re going to turn it down before first Alpha Release, but it’s important that we give you the ability to control volume at will. Besides, as a feature, decent volume sliders aren’t even a standard: they’re a requirement! The system will become more robust as we implement new sources of sound, but for now, we’re content to save your ears. That jigsaw metaphor works for both of the previous updates, but this final update is more like a bunch of pieces already pressed together. Our programming team has finished putting together a tool for our writing team to import dialogue into the game! Previously, we relied on a spreadsheet that would be converted into the proper format later, but that isn’t exactly intuitive, and its functionally limited! The new tool will still take some learning on our part, but with it in hand, we’ll be able to finally make use of that huge document, full of lines that were just so fun to put together for all of you! On a final note, we recently posted our second episode of Reaching Eden – the Gears of Eden podcast that covers updates, inspiration and gaming. You can find it on our website, of course, but also through iTunes, Google Play, Soundcloud, Stitcher, and TuneIn. Be sure to subscribe, and let us know what you like and want to hear more of! Episode 3 is in post-production and will be out next week! That’s it for this week’s Dev Update, though! We’ll be back next week, but if you want all the latest and greatest news on Gears of Eden, be sure to follow us on Twitter and Facebook! Also, with the upcoming Alpha Release, I should remind you that subscribers on our newsletter are automatically put in the running for an Alpha Key! You can also make a donation and get one that way, if you’d rather not rely on chance. Either way, you’re making our day, so thank you for sticking it out with us! I can’t wait to see what news we have for you next week!